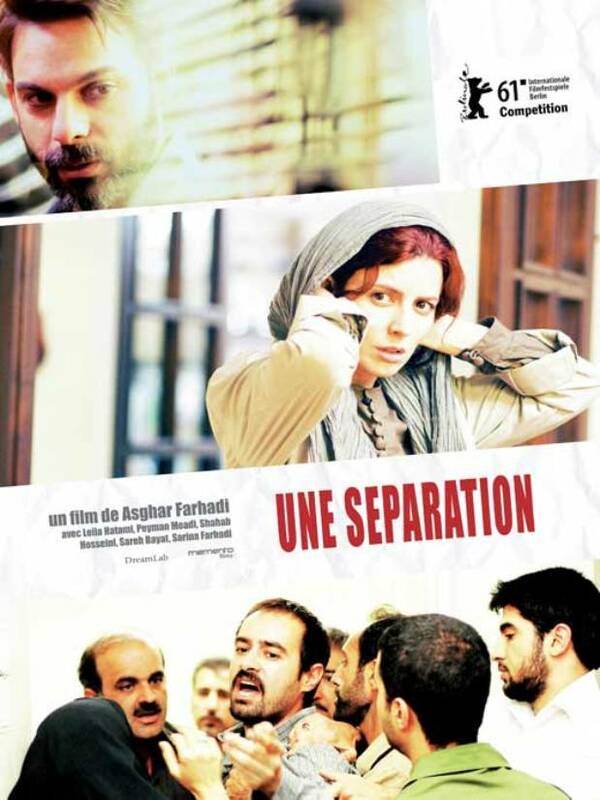 Asghar Farhadi’s Nader and Simin, A Separation won the Best Film prize. The film was already the winner of the Golden Bear for Best Film and the Silver Bears for Best Actress and Best Actor at the 61st Berlin International Film Festival, becoming the first Iranian film to win the Golden Bear. A couple has to make a decision to leave Iran to better the life of their child or to stay and take care of a parent suffering from Alzheimers; however, the couple’s marriage may end in divorce. DIFF Feature Film Audience Award: The First Grader (Kenya,United Kingdom,South Africa), directed by Justin Chadwick. The famous Nollywood actor, Sam Loco Efe has been reported dead in his hotel room Sunday on location in Owerri, Imo State. He is regarded as one of the greatest actors of all time in Nigeria since he started acting in the early 1960s. He excelled in all the stages of his acting career in theatre, television and cinema. And he was known for acting excellently in English and the major local dialects in the most populous country in Africa, receiving many awards over the decades. Sam Loco Efe is one of the most talented actors of contemporary Nigerian theatre. He has for many years distinguished himself as a rare talent for both Television (TV) and stage drama. I am Sam Loco from Benin in Edo State. Many people misplace my surname for a Delta man. Efe is a Benin name although the Urhobo people popularized it. Efe means Wealth in Benin as it also means in Urhobo but it means Cloth in Ibo. My surname is fully pronounced “Efeeimwonkiyeke”, meaning ‘wealth has no time limit.’ One can be wealthy at 90 when people must have lost hope. What actually happened was that my grandmother was having only female children and after so many years, she gave birth to my father at an old age and when he arrived, the name given to him is “you see now my wealth has finally arrived.” I later inherited this from my father as I was the last of my parents’ children and the only male child. I was born here in Enugu, but I spent my childhood in Abakaliki and a modest attempt at becoming an actor was what triggered my passion for the stage. There was a time, Government College, Umuahia came to Abakaliki with a production. We all got so excited and I said to myself that if these men can stay on stage before a large audience and render their lines without looking into any book or script, there must be something magical about it. A few bold ones among us asked them some questions after the production and they said it was a matter of training and perseverance. So, when they left, I attempted a play that was larger than our collegiate level. I decided to produce William Shakespeare’s Julius Caesar. I acted Caesar and also directed it without any formal training. Finally, when my own Julius Ceasar was ready, I registered it for the provincial festival of arts. I was aware that other contestants came from institutions of higher learning like the Teachers Training Colleges. We participated as primary school pupils and took the last position in the competition but I was adjudged the best actor. We were deeply influenced by the Roman films such that we presented how Caesar was stabbed by Brutus severally instead of one single fatal stab. We ended ours with a sword fight between Caesar and Brutus which lasted for about 20 minutes, Before Caesar eventually died, all the judges were laughing throughout the fight because they knew that we have gone beyond what Shakespeare wrote. From that point, I never looked back; having been launched into the theatre since 1960. Going to school in the East then was tough. It was not like the Western Region where students got everything free. It was tough for us, so my nephew and I alternated street trading on a yearly basis to enable the other acquire education. But because of the staccato arrangement, I must confess that I had to attend so many primary schools. I would say that my popularity started in Benin around 1968 because when I arrived there, I formed the Overamwem National Theatre Group (ONTG). My group represented Mid-West (Area 2 division) in most National Arts festivals and we were into so many other things. I’ve already made my name before getting into the University of Ibadan. I just wanted to go and receive more training. My group won a lot of laurels and in 1969, I joined Michelin at Ijora and just as I’ve have always had it in schools, I was sacked from Michelin and I moved to Dunlop. I was still in Dunlop when Hotel De Jordan series started (1970). I played one of the lead characters called Picado Suberu. From there, I was drafted into playing the only Ibo (Chief Ukata Biribiri) character in the play . Hotel De Jordan was never recorded, it was a live show and if we made mistakes, it would go into to the homes directly. At that time, some few minutes before we take off, people would troop to NTA Benin to see us Live, while others stay glued to their television sets. Even when some Germans came to see us on set, they were baffled by the production of the serial. I remember the day they increased our fees to N15 – there was great joy among the cast. Hotel De Jordan was totally creative. The powers that be did not allow Hotel De Jordan to enjoy national airtime because they felt it would open the eyes of the ordinary citizens. They kept promising us that it would go network and that promise lasted until the production was rested. The play had entertainment value and all that. Even people on transit through Benin that saw the play wondered why it was not on the network belt of the NTA. But that is Nigeria because those who created their own programmes did not want other programmes to compete with theirs. There was an order by the federal government that all the states of the federation should bring their best actors to Ibadan for audition. I was not a staff of the then Bendel Art Council, but I received an invitation. However, on the day we were to make the trip, I got to the council’s office and one of them started calling names. I listened but I did not hear my name. So, I approached the man and lodged my complaint. He replied, ” Oga abi you no see say your name no dey inside?”. The then Director of the Bendel Art Council, Aig Imoru saw me storming out and asked me what was going on. I showed him the the letter they sent to me and asked him why my name was dropped. The man did not offer any tangible explanation. Fortunately, two of the people whose names were in the list did not show up, so the director said to me, ” Sam Loco take your load in and find a seat.” He therefore made a philosophical statement, which I would never forget as long as I live. He said, ” this is a rejected stone but he will surprise you.” We went to Ibadan and returned. Thereafter, we received a formal letter to report to camp. The personalities and the quality of actors in the camp were so intimidating. In the likes of Jimi Solanke, Femi Osofisan (Now Professor), Dr. Seinde Arigbede among others. So, I was on the look out for a role in which I would have few competitors. First, I started with the role of the Obong of Calabar. I read the lines on the first day and the Director was impressed. But during the second and final reading, I was told that I hadn’t the nuances of the Efiks. So, I lost the role. I moved on to try the role of the Ostrich, which had only four lines. I read the script well but I was told that my neck was too stiff. I did not know that a small boy in Hotel De Jordan got that role. As soon as I lost the role, members of the Bendel Art Council were sarcastically re-echoing what their Oga said about me earlier. “See the man wey oga say na rejected stone oh (he is been rejected up and down).” So, I went to play the role of a tree but I was not flexible enough. After that, I went for beads making. We were making beads and from time to time, if any Artiste failed to show up, Professor Adelugba would shout, ” Sam Loco, go and read those lines. At a point, he started calling me Roving Ambassador. One day, Jimi Solanke failed to show up. While I was busy making beads, I was called upon to read out the part which I did. Out of the seven lead characters in the play six of them came from the old Bendel State. Then others started grumbling and protesting aloud. Some people felt that the best way to end the crisis was to drop Sam Loco. The production team went and brought somebody back from his study leave in England to play Akarogun (the role I won by merit). They toiled all night to make him play the role but at the end, he kept on fumbling and wobbling. John Ikwere asked sarcastically, if there is any other person from Germany?” I beg let Sam Loco play his role. That is how I ended up playing the role, which almost cost me my life. On the night of the performance I was attacked spiritually I would prefer to describe it as slightly. My legs suddenly swelled up. I couldn’t even perform but late Wale Ogunyemi who wrote the script threatened that he would withdraw his script if I did not play that role. Remember that all the states of the federation were represented. The drama turned out to be the best drama entry for FESTAC. Secondly, there were more players than positions. it was like having ten Okocha’s for a match, yet only one of them will wear jersey number 10. Nevertheless, it was a nice family and it was almost impossible to uncover the bad eggs in the camp. We thank God nobody died in camp. Nigeria had just two major entries for the Performative Arts in FESTAC. There was a dance, titled Children of Paradise, and Langbodo. OBJ as the Head of State was at the performance of the Dance entry. But as the story went then, at a particular point we learnt that he hissed and walked out. Remember that many African countries came with fantastic dances, but wanted to reflect our cultural diversity and that was what killed the entry. At the end of the day, it was like we had too many ingredients for one soup. So, Obasanjo walked out midway into the performance. So, when he was told that Nigeria was presenting a play, the ghost of the Children of Paradise was still haunting him, so he did not come to see Langbodo. But when he learnt about good impressions generated by the play; even among the Heads of States in attendance, he (OBJ) later came to visit us at our FESTAC Town camp and ordered the NTA to air the play every morning for the duration of the festival. The Langbodo artistes are latent world beaters in their individual rights. The play became a medium through, which most of them were able to let out the steam in them and thereafter exploded. 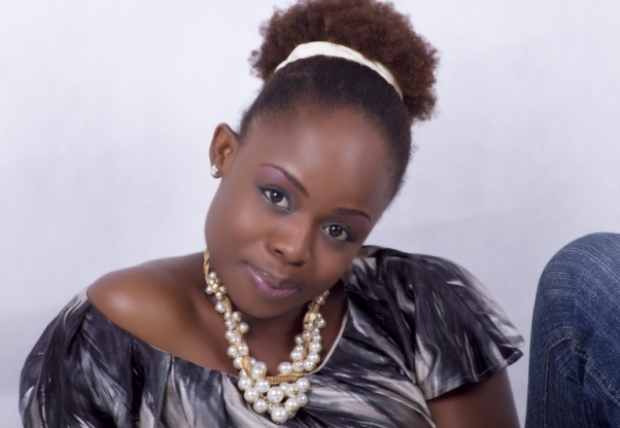 The same set of artistes hit the screen with Nigeria’s first serial drama on television Winds Against My Soul. Langbodo changed the focus and attitude of many people that took part in it. Today, many of those people are either alive and waxing stronger or are dead but left indelible marks behind. Basically, I am a one-man riot squad. Whatever I set my mind on I can accomplish. I have mastered the art of taking one step first and when the stream is not too wide then I take another step. My earlier training whether formal or informal was on the stage. The transition wasn’t what I would describe as difficult. When people were trying to transit from stage to the tube, some found it difficult because the demand was that you should be better off on stage physically but on tube, you need some mental inputs and all that. I was always involved in WNTV programmes. So, I started looking at these things as no more challenges but excitements you know. Cinema culture was coming into Nigeria gradually but many people did not realize it. I got to know this long ago. Somehow, I knew that movies would soon overthrow live theatre. I got to know that in Europe that was already happening and that only the true lovers of live theatre are sustaining it. I took part in some of the first few Nigerian movies shot on celluloid. When the explosion took place I was already home and dry. I can say that I am a stage and screen artiste to the core and my interests had never clashed. I am always pleasantly surprised whenever I read some of the interviews of our young actors and many of them that I have not even met attribute their rise to my influence, I feel so fulfilled knowing that I have influenced so many people so positively. I can say that the movie industry began with genuine theatre and movie people. As soon as things started getting better, charlatans found their ways into it. In their legion now there are a mixture of purpose, some are in Nollywood not because of the urge to be a Thespian nor the willingness to learn but I believe that as time goes on, we shall flush such people out. This is a house I helped to build and it would be madness for me to allow people with no history to rubbish the much that has been achieved. I don’t buy the idea that he who pays the piper dictates the tune, I can agree half-way that he who pays the piper suggests the tune. If you dictate and I can’t play the exact tune, what then happens? So the marketers came in and started cornering the entire business to themselves by pumping in huge sums of money. When the elites or graduates came in with an alternative market, for four months, they produced four films and made some millions and suddenly became more Catholic than Pope. Before long, that experiment died. If they had succeeded with the alternative market there would have emerged a kind of healthy rivalry. After they failed, the trader-producer re-emerged full-force and now they are in full control and people are shouting. I will not just go and make a statement on the present problems because I want to be quoted as having said whatever I say. You see the marketers have the market, we have the tools, they don’t employ us, we employ ourselves. Nobody employs Sam Loco, no! They employ my services. When I assumed the position of the Chairman of the Caretaker Committee of the Actors Guild of Nigeria, the first thing I set out to do was to establish contacts with the marketers and invite them to a family meeting. The issues involved, I did not spell out but they knew it. “First and foremost, let us realign that word, ‘ban.’ It is no ban because you cannot ban a creative mind. You can say, you want to discontinue their services to you.” We slated a meeting of the AGN for February but because of the various states’ elections it has been impossible for us to meet. You’d remember that the state elections generated a lot of heat that could have ruined the image of the AGN. I believe that before we conduct the national election we must have held the meeting. I believe that the meeting should bring to an end this ugly trend that has done anyone no good. We shall tell ourselves the home truth and if there is any aspect of our behaviours that is not good, I will apologize for that and if there is any on their part I will also demand for an apology on behalf of my members. I would not say that I am satisfied but I would rather say that I am happy with the progress made so far. Critics in Nigeria like to jump the gun. How old is Nollywood? We cannot deny that the story lines are getting better, even as we cannot deny that the performers are also helping to make things get better. However, there is a need for continued training by the stakeholders in the industry. But we shouldn’t deny that progress is been made. I think Langbodo was my first truly well paid job. Being a national production we were well paid. I was being treated like an egg because I played the lead role. On screen, I think it’s my best paid job. My wives died. I owe them one small honour. My youngest child is about 24. I am not used to old women; and if I go and marry a girl of 24 who will be the same age with my last son, my last son might be tempted to ‘chase’ the girl. It does not pay me at all. There will be no intra or inter family respect any more. You don’t expect my first son, who will be older than my new wife, to call her madam. But as long as she is the wife in the house, she should be respected. So you see, there is nothing I can do unless I want to create explosive situations: your family would be sitting on a powder keg, which requires only a matchstick to it ablaze. But I have married o. I have six wives. My six children are my wives. So what is your vision like, what do we expect? I have told you that I am going back to farming. I am going to be as successful as I am as an actor right there on the farm. And remember there is a role for everyone. Instead of making up a young boy who is 30 to act the role of a 100-year-old man, I can act that role. Still, we must leave the stage when the ovation is loudest. Where is home for you now? Is it Enugu or Onitsha or Benin? 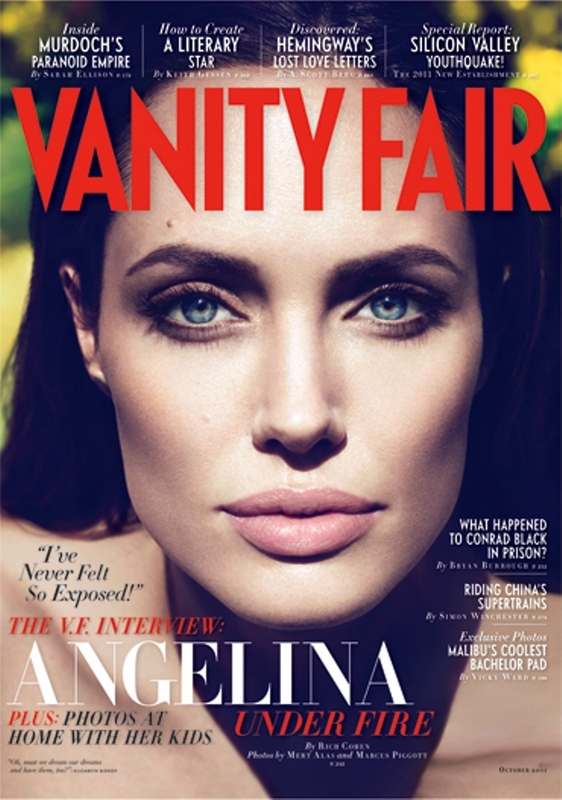 I am an actor plenipotentiary. I am the most Nigerian actor. I don’t believe in segmentation. I am from Benin like I told you, but I am one of the few prophets who have not visited home much but who are known in their home. If I had been younger, if I had thought about it when I was younger, I would have taken wives from all the tribes in the country. Montreal-based boutique film, television and web marketing company ID Communications inc has picked up rights for The Cross and the Towers, the award winning September 11 documentary amid memorial controversy. Montreal, Canada (August 4, 2011) – A legal battle is heating up between New York city officials and atheist interest group American Atheists Inc. over two charred metal beams in the form of a cross which were rescued from the twin towers rubble at ground zero, and now planned as part of the 10th anniversary commemoration of the 9/11 attacks. During critical rescue operations, the beams were a spontaneous source of inspiration to numerous firefighters and first-responders at the scene, as recounted in the award winning documentary ‘The Cross and the Towers’. The event will be attended by president Obama and many other key officials. “The proposed lawsuit appears to hinge on the frustration of an atheist interest group with regards to purported religious symbols like the steel cross being included in a memorial such as 9/11. 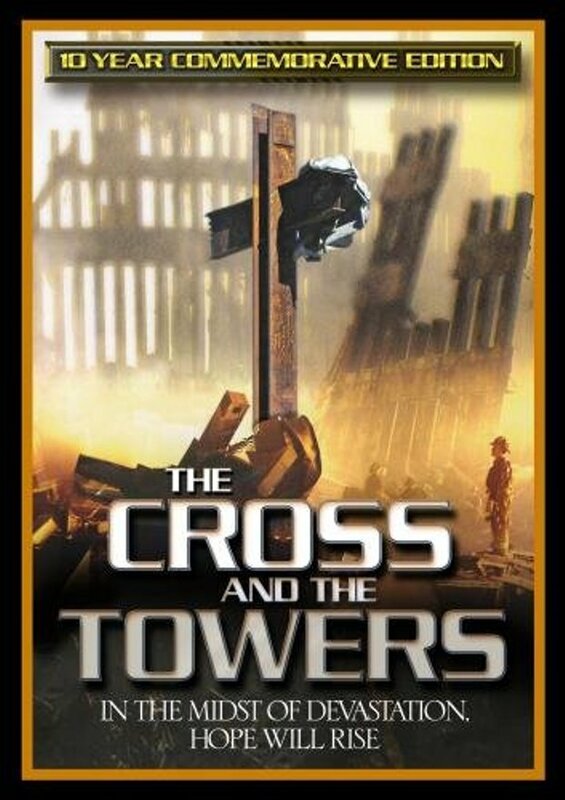 The film ‘The Cross and Towers’ in fact tells the story of how more than a few of New York’s firemen and policemen drew strength for a few moments between moments of panic, from this unlikeliest of christian symbols perched amid the wreckage of the twin towers. The pieces of metal have since been included in a range of memorials marking the tragedy. To be frank, as the international distributor of the film, I am happy to announce the controversy has attracted a lot of attention from worldwide TV and DVD outlets which we work with: says Dan Shannon, of ID Communications, the films international TV distributor. 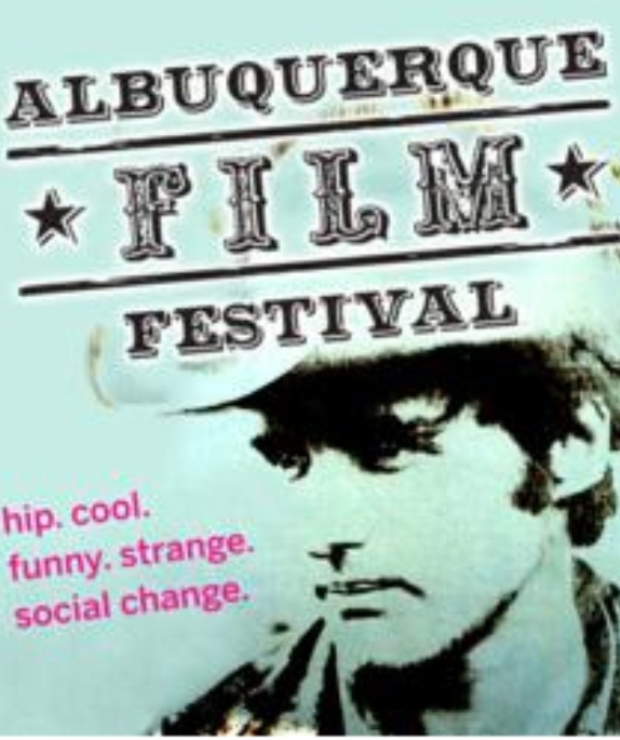 “When we made this film it won prizes and was recognized at several international film festivals. Now on the eve of the 10th anniversary at ground zero, I think we have the only authoritative and complete re-telling of the story behind the cross at ground zero. Today if the lawsuit serves as a platform to allow the stories of these bravest of American men and women to be heard by a wider audience, we feel it will have served a noble purpose” says the film’s producer Scott Perkins of Crossing Hollow Films. The 54-minute documentary won Audience Choice Award at Palm Beach International Festival, Best Film at Gloria Film Festival, Crystal Heart at Heartland Film Festival and finalist in USA Film Festival. Mr. Scott Perkins is an award winning executive producer with of quality feature films and documentaries for international audiences.